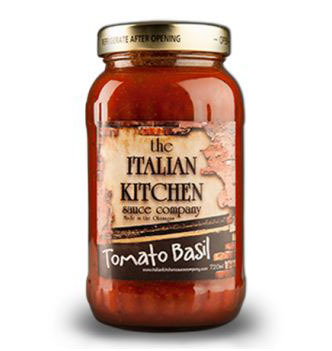 Our unique blend of herbs and spices added to a thick and rich tomato sauce. 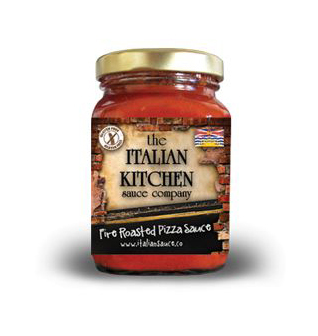 Try our pizza sauce the next time you are making pizza, it will change your perspective on homemade pizza. Tomato paste, whole peeled tomatoes, onion, garlic, olive oil, salt, spices, sugar, citric acid. In the vibrant area of Sicily, Pasta sauces are simple with ripe, red tomatoes and a hint of basil. Our Traditional Marinara goes very well with a fine Cabernet Wine. We recommend Mission Hill, one of the top sellers at The Italian Kitchen. A fine wine adds warmth to your pasta. Tomato paste, whole tomatoes, onion, garlic, olive oil, salt, sugar, black pepper, basil, oregano, thyme, bay leaf, citric acid. 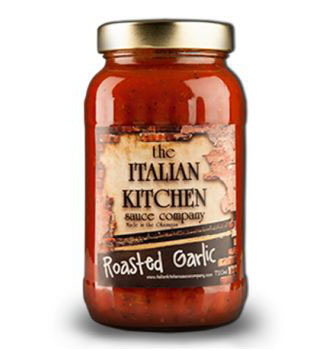 Ripe tomatoes and roasted garlic has made this selection one of our favourite sauces. This garlic infusion compliments many dishes. 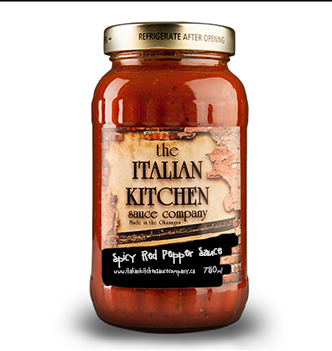 Our bold spirited Spicy Red Pepper sauce is a perfect balance of sweet & savory with a little bit of a kick. A great addition to any meal.